We will be hosting our first ever Discord chat on Friday August 3rd 3pm PST/6PM ET. 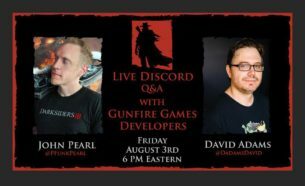 Come join Gunfire Games developers; John Pearl (Design Director), David Adams (President and Game Director), and Reinhard Pollice (THQ Nordic Executive Producer) who will be there to answer your Darksiders III questions! Don’t miss out!